Pan Mee is one dish which needed to get checked off my “Foods to eat in Malaysia list” before I leave back to Perth. Pan Mee also known as Ban Mian, a Hakka style noodle. The noodle dough is actually made from flour and it is traditionally hand-kneaded and torn into smaller pieces of dough, being the flat strips of noodle. Pan Mee is everywhere in KL and you can find it mostly at Hawker Centres too. Rumours has it that the Pan Mee at Restaurant New Apollos is worth trying. And so, I set out on another foodie adventure to see if that’s true. Restaurant New Apollos is a hawker centre and you can find the Pan Mee stall at your right from the front. Apart from Pan Mee, there is a variety of stalls selling local favourites, such as, Char Kway Teow, Claypot Chicken Rice, Popiah, Assam Laksa and so on. 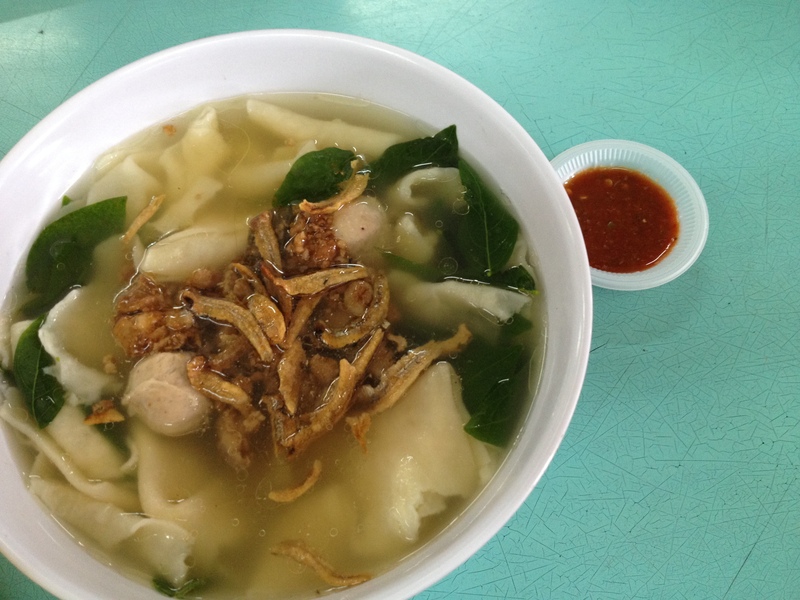 Pan Mee is usually served in soup, together with dried anchovies, minced pork, mushrooms and a leafy vegetable. 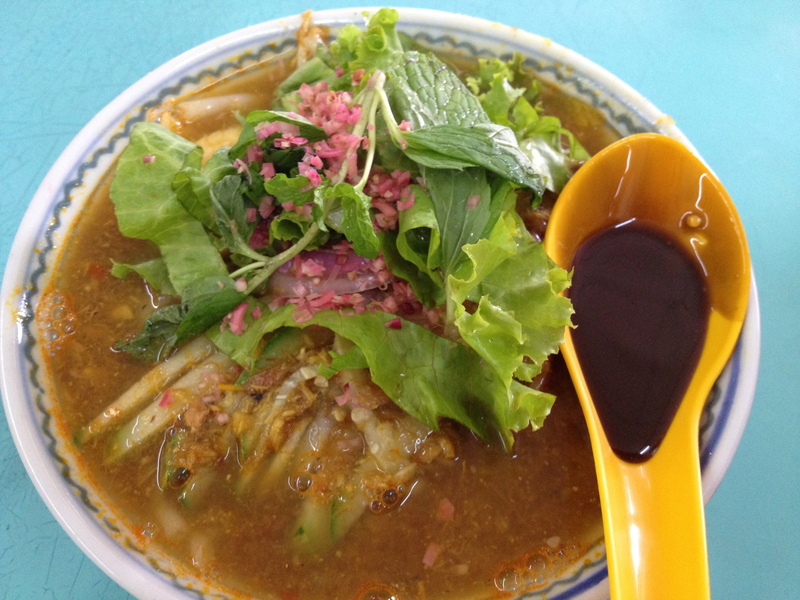 Dried Pan Mee also do exist as well, which is served dry with a thick black soya sauce. Oh and not forgetting the Chili Pan Mee, which is currently rising to its popularity around KL. My verdict of the Pan Mee at Restaurant New Apollos ? The Pan Mee was really delicious. The dough was executed perfectly and the broth was full of flavour. Oh yes and not forgetting the chili on the side to give an extra kick and flavour to the Pan Mee too! Very authentic. My cousin had the Assam Laksa, a sour, fish-based soup from another stall. Although the Assam Laksa was small in portion, it was actually quite good too with tangy flavours. We also shared a Popiah, a Fujian style fresh spring roll. 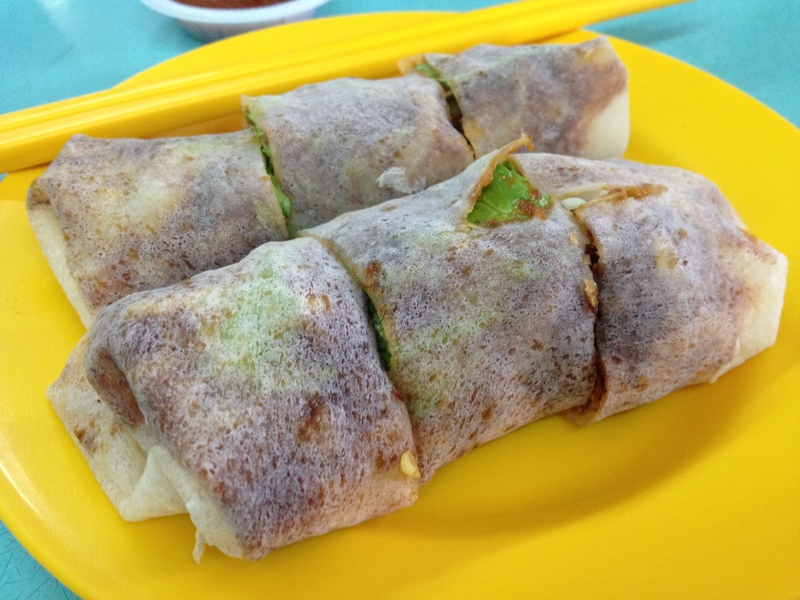 The Popiah was delicately wrapped and it has a nice crunch and texture with generous fillings. Overall, I was very satisfied with my Pan Mee and must say that the Popiah and Assam Laksa was up to standard too. If you are living around the Subang Jaya or USJ area, do give Restaurant New Apollos a try and let me know if you have tried the other stalls there too. Would really love to try some of the food after my Pan Mee, but unfortunately, I did not have room in my stomach for more food. Oh well, there’s always a next time!